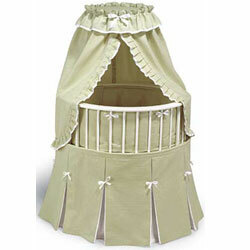 Bassinets are cozy, small and can be very handy with twins as they can be moved from one room to another. Some have a vibration feature trying to soothe babies to sleep. Some have a storage area at the base which can be used for diapers, undershirts, or toys. Since you will be needing two you may want to consider a Playard or Playpen with attachable bassinet. We had 2 bassinets and one playpen. 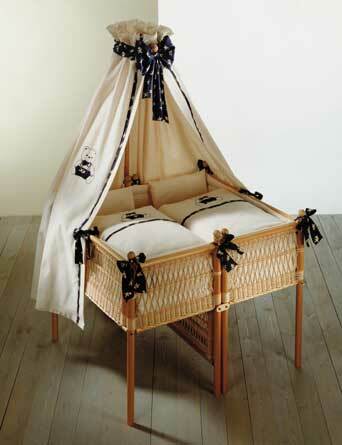 Since we lived in a small apartment when the twins arrived, we used the bassinet in our room and only at night time. During the day the twins shared a playpen in the living room. We moved to a house when they were 2 months old. At that time I switched the bassinets for cribs. So you just have to evaluate your living conditions to see which options suit you the best. Looks like this bassinet is not available anymore. However, it is so cute that I cannot bring myself to remove it !!! 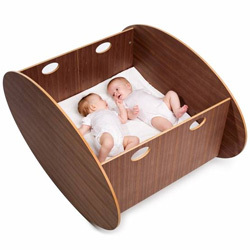 This Double Fantasy was actually designed for twins. It is very cute and can be very handy and useful. However, it is pricey.